Waxed canvas isn’t a very well-known fabric and it’s most assumed to be used for outdoors, backpacking equipment. 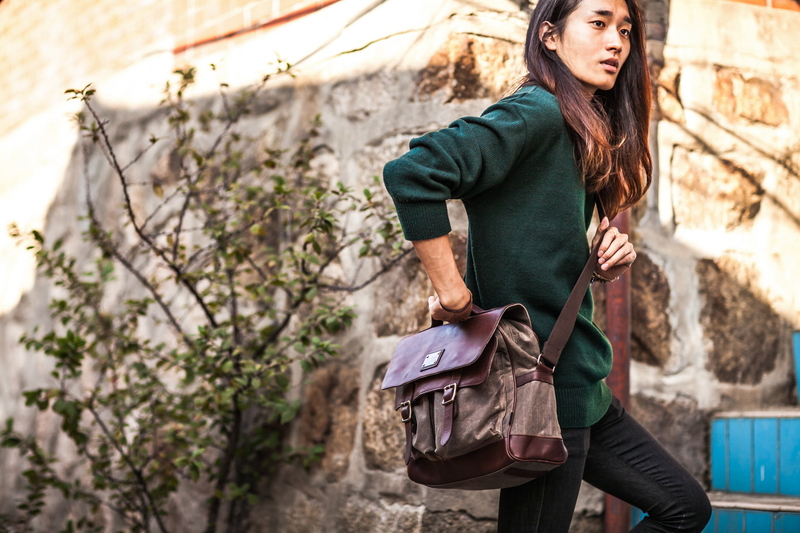 But Builford, a fashion bag and backpack brand, reimagined the material and turned it into an everyday, vintage style look. The genius of this is that Builford bags, despite being fashion bags, retain all of the advantages and strengths of the waxed canvas. 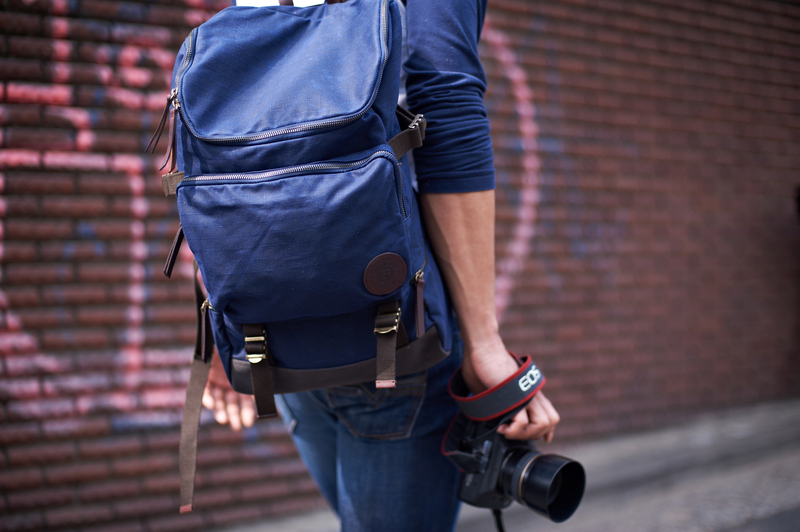 Here are 3 times when I’m usually really glad that my backpack is from Builford and made of waxed canvas. 1. When it’s raining: I am not very good at checking the weather report. And even when I do, somehow, the umbrella never fully covers me, let alone my backpack, and it always gets wet. I might worry about that, but I don’t — because it’s waxed canvas, and therefore it’s waterproof. My stuff is safe. I like that. 2. When I’m really busy: I work hard, and sometimes I have days that really last all day and require me to run around the city for various different things. On those days, I really need all hands on deck, and lots of stuff in my backpack. Builford bags are so well-made, and the waxed canvas so strong, that I don’t worry at all about over stuffing my backpack. I think it’d be too heavy for me before it would break, by a long shot. 3. When I travel: I don’t have a carry-on suitcase. But my Builford backpack works just fine. It’s large enough for my books and laptop and a change or two of clothes. The padded shoulder straps mean that I don’t mind carrying it across the airport or from there to wherever I’m staying. It should be noted I’m pretty glad for my Builford backpack pretty much all of the time. I didn’t think before how useful a backpack could be, but now I know. You can order your own online today at www.builford.com! 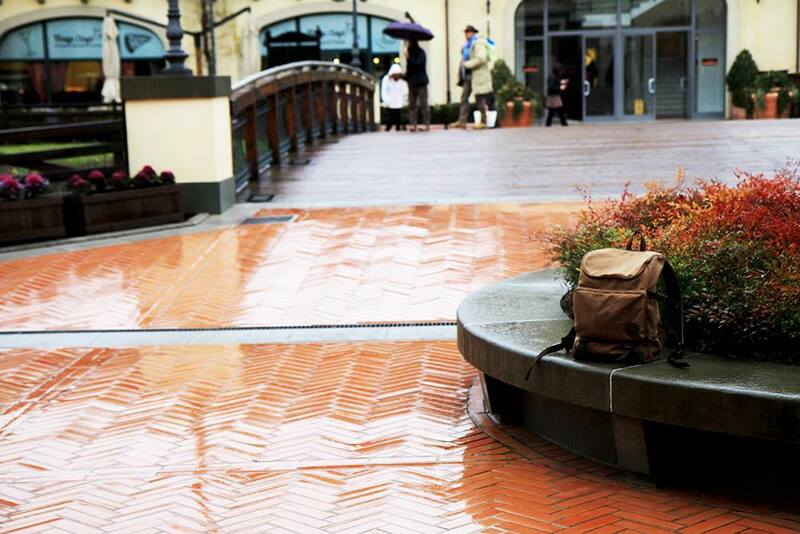 Builford backpacks in the rain, safe and sound! 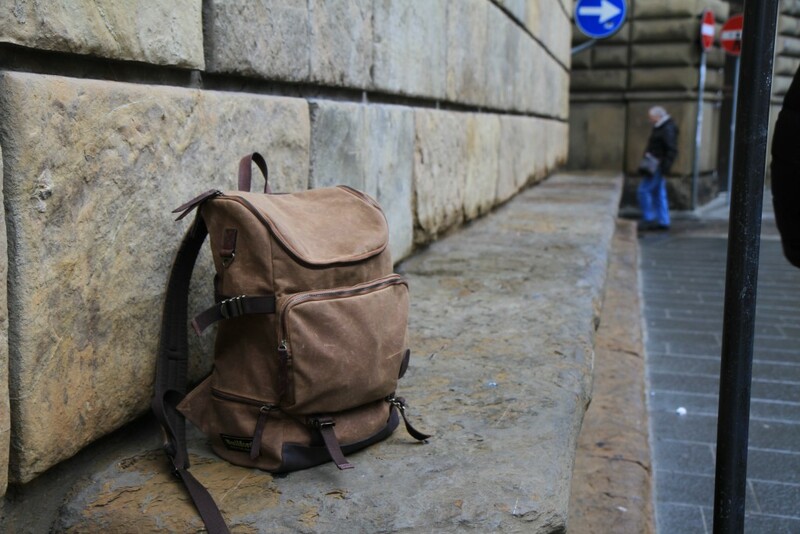 Share the post "3 Times I’m glad for my Builford waxed canvas bag"
Posted in Blog and tagged builford backpack, Builford waxed canvas, original martexin waxed canvas, original waxed canvas, outdoors waxed canvas backpacks, travel backpacks, waxed canvas backpack. Bookmark the permalink.